London is a 10-episode television series. The biopic, named 'Chaudhry: The Martyr' will pay tribute to the brave police officer. Taking to Instagram, Mawra introduced her followers to her new friend Murtaza. While the actor was there to participate in the Indus Hospital fund raiser, he found something very special. 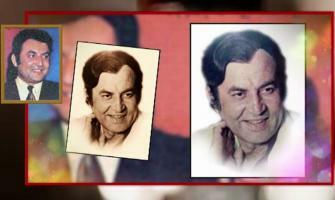 The 43rd death anniversary of famous comdian Munawar Zareef will be observed on April 29. Taking to Twitter, the actress said that movies have the power to build bridges especially when tensions are high. A family court had in May, 2018 declared that actress Irtiza Rubab, popularly known among her fans as Meera, was married and she was wife of Atteeq-ur-Rehman. Lollywood refers to the showbiz industry of Pakistan. There was a decline in Pakistani films. But now the whole Pakistani cinema has evolved. As far as Pakistani drama is concerned it always have been great viewership around the globe. Now a lot of Urdu dramas are being translated in different languages. Urdu Point provides Lollywood news from Pakistan. Urdu Point provides showbiz news with complete honesty and accuracy. Authentic and honest Lollywood news are being provided to the users. All the news of showbiz Pakistan are being provided to the people. Now a day's people seems interested in knowing Lollywood gossip. There are a lot of Lollywood scandals in Lollywood industry and Urdu Point reports them with complete accuracy. A complete list of Lollywood new movies are being provided. It also gives the information of Lollywood new movies download. There a lot of Lollywood stars shinning and making Pakistan proud in whole world with their art. Urdu Point provides Lollywood actors news with complete accuracy. All the Lollywood actresses' news are also provided. Pakistani actors are making Pakistan proud with their exceptional acting skills. Pakistani models are famous in the whole world for their good looks. Urdu Point provides Pakistani film reviews. The details about Pakistan film stories are given for the users as a part of review. Urdu films are being translated in many languages so far. Urdu Point gives information about new Pakistan film. All the Pakistani film news are being provided by the site. Urdu Point gives hum TV drama news for interested viewers. Urdu Point also provides geo drama news. All the news updates about Pakistani music is also provided. An accurate list of Lollywood movies is also provided. All Pakistani drama page posts videos of upcoming serials. Pakistan stage drama is facing decline these days. A lot of websites provides Pakistan drama online. Urdu Point gives Pakistan drama list. Pakistani drama actresses are making their marks in the world with their great acting skills. Urdu Point provides authentic Lollywood news. Pakistani showbiz news in Urdu are also being provided. A complete information about Pakistani showbiz affairs is also given. Urdu Point provides news about Pakistani showbiz couples. All the news about Pakistani showbiz weddings are also given. All the Pakistani showbiz magazines are enhancing their reporting criteria. Urdu Point also provides Indian showbiz news. Authentic news about Pakistani TV actors are given. Pakistani actors male are making us all proud with their work. Urdu Point gives news about Pakistani drama actors male. Urdu Point gives news about Pakistani actors female. Information about Pakistani drama actors female is also provided by Urdu Point.